An assault rifle used by Britain’s counter-terror police does not shoot straight when fired in warm weather, a new study reveals. With nearly 5,600 in operation in the UK, the study has raised concerns over their continued use. The G36 automatic assault rifle is now under review as tests conducted by the German army found that, at long range, it is inaccurate by up to 20 feet when the temperature exceeds 86 F (30C). The weapon was also shown to be unreliable when exposed to high humidity and fired repeatedly. However, the rifle’s manufacturer, Heckler & Koch, have rejected the test results, claiming the gun has never received complaints before, despite being used in over 50 countries. 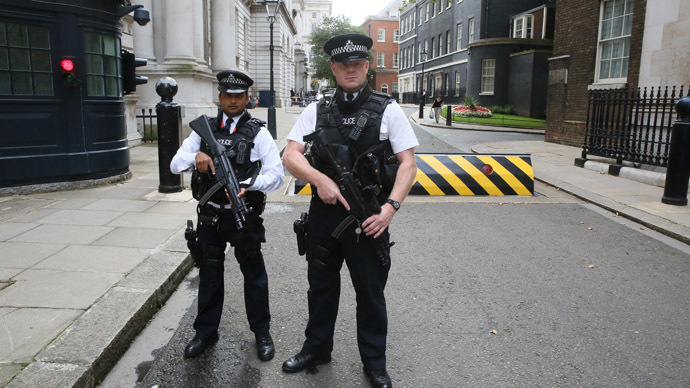 Between 2,000 and 3,000 G36Cs (a version with a shorter barrel than the standard weapon) are used by police forces in the UK. The Civil Nuclear Constabulary has around 600. The Home Office Centre for Applied Science and Technology (CAST) will be carrying out a review of the weapon. The National Police Chiefs’ Council (NPCC) told the Mirror the weapon had “not been withdrawn” and would continue to be used by armed officers. “We are looking to see if more testing needs to be done,” she added. The G36 has been standard issue in the German army for nearly two decades, and a different version was used by British Special Forces in Iraq. The gun manufacturer says it is “dismayed” by the statements issued by the German Ministry of Defense.